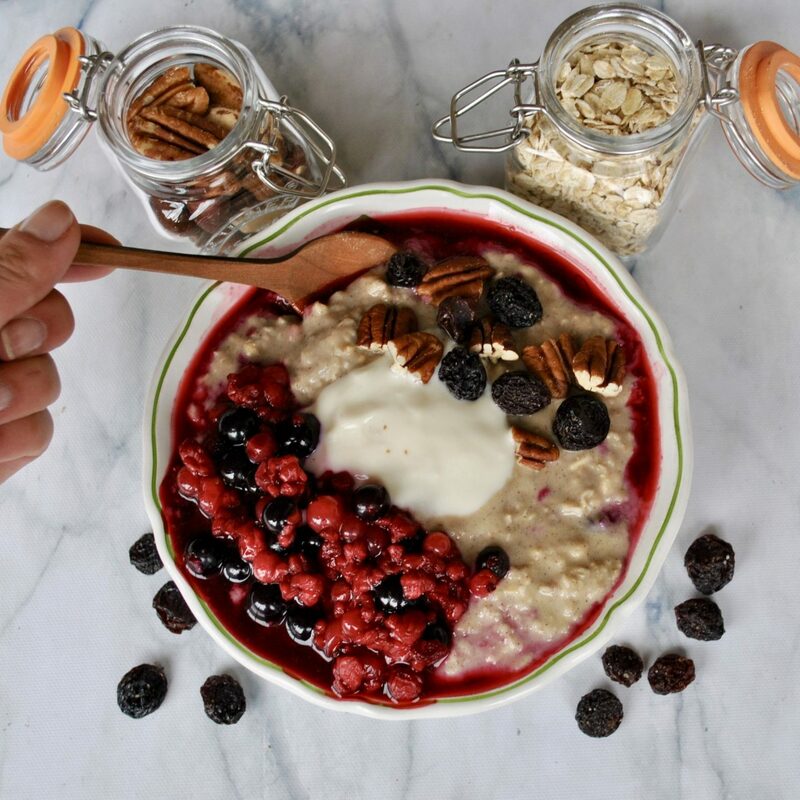 I make a bowl of porridge almost everyday as it is truly one of the healthiest breakfasts out there, made from wholegrain oats which boast more soluble fibre than any other grain, which is scientifically proven to help lower cholesterol. 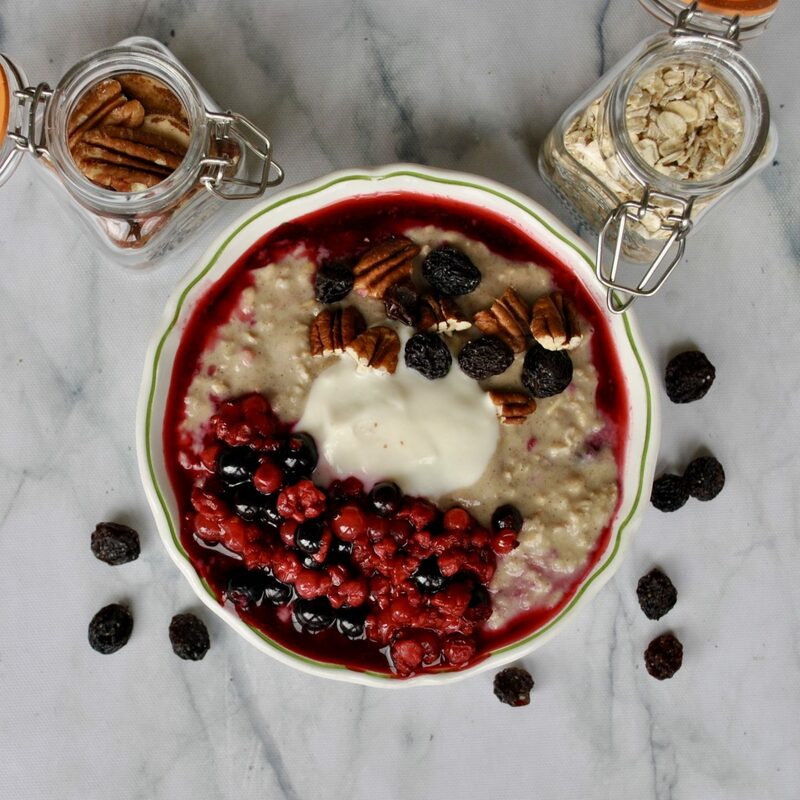 This recipe porridge also offers healthy fats from the coconut which help you feel satisfied and keep you full all morning. 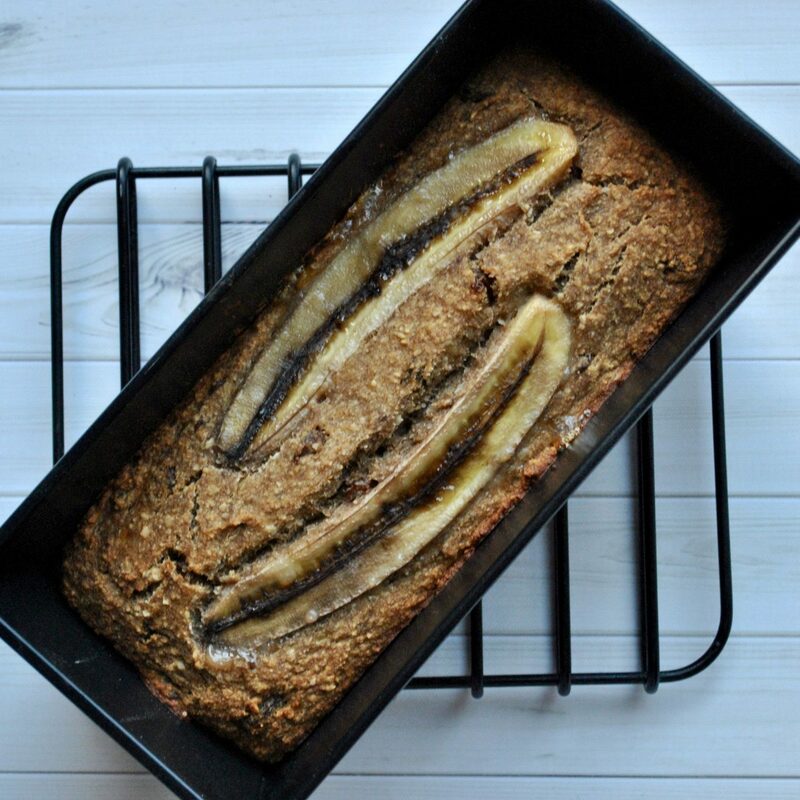 I used coconut flour to thicken this and cooked it in silky smooth coconut milk for a creamy consistency. The berry compote is a very welcome addition, although if you’re short on time feel free to leave it out – perhaps sprinkle over a handful of fresh berries instead. 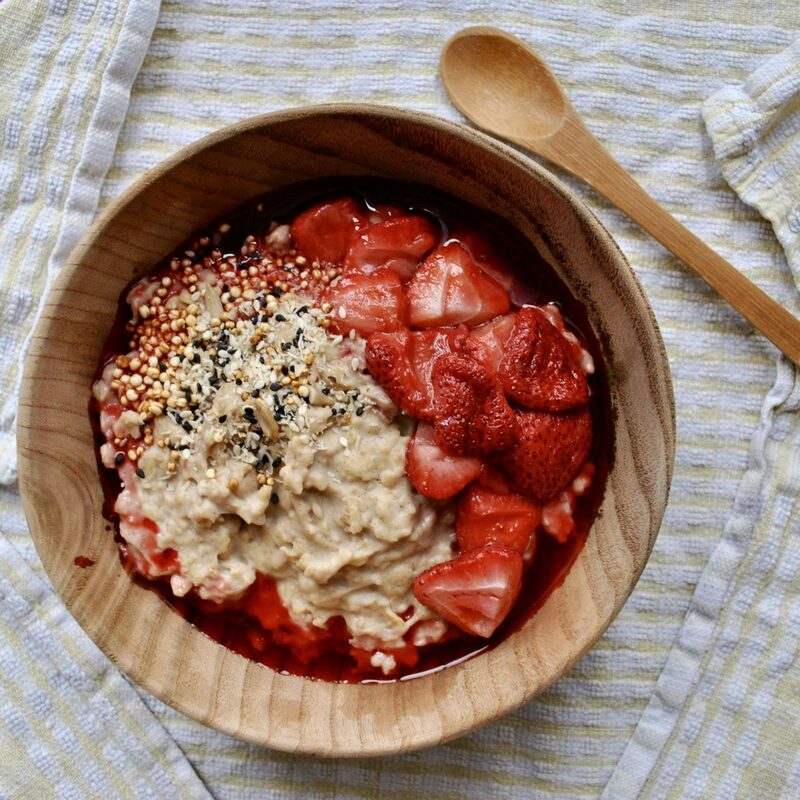 For more porridge recipes, have a look at my Nutella Porridge, Cinnamon Chia Oatmeal, Quinoa Porridge and Turmeric and Goji Porridge. Add the oats to a saucepan and cover with the boiling water. Leave to soak for a few minutes. Add the frozen berries and orange juice to a separate saucepan, put the lid on and simmer for about 5 minutes. While the compote is simmering, add all other porridge ingredients to the saucepan and cook on a medium for 2 minutes, stirring often, then reduce to a simmer for 3 minutes. Stir in a little extra milk if desired. 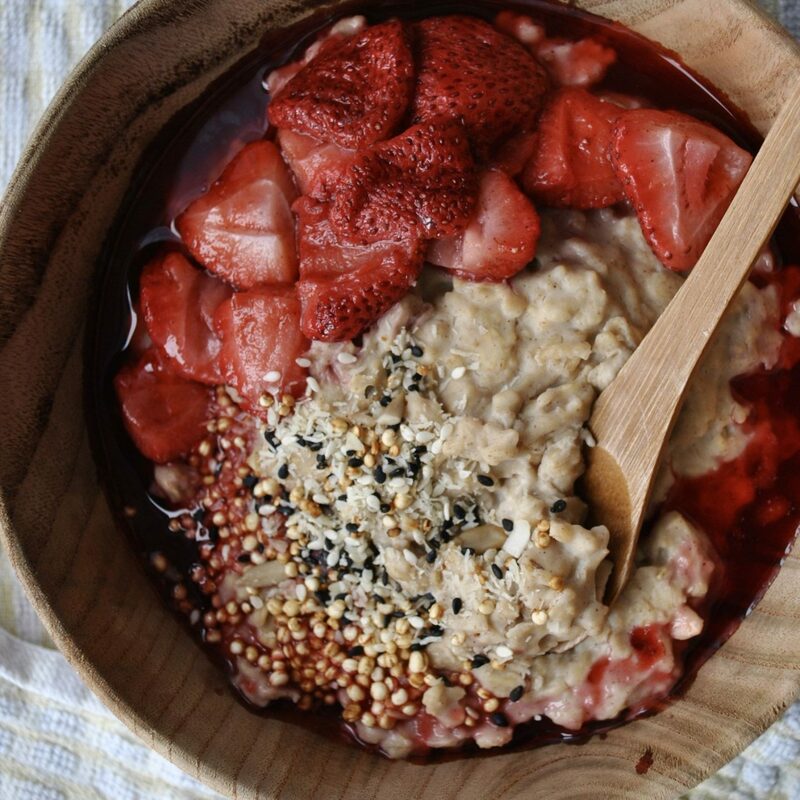 Transfer porridge to a bowl, add toppings, pour over the compote and serve hot. Don’t forget to check out my Nutella Porridge, Cinnamon Chia Oatmeal, Quinoa Porridge and Turmeric and Goji Porridge.